Faces of the morning commute. Betraying secrets. The drinker. The stress case. The compensating one. Occasionally, the enlightened, cutting through the masses. Like a hot knife through vegan butter. At peace with all living creatures. they come. Micro prisms. Eternal. Beloved. Vomit, needles and the debris of the unfortunate. This city. the first time once again. Ten years I’ve been making this trip. Ten. Divided by fifty two. Pens on paper. Voices. Follow the plan. Stay on target. Your words do paint quite the picture. Love this one…in camera double exposure? …or reflections? Actually no. 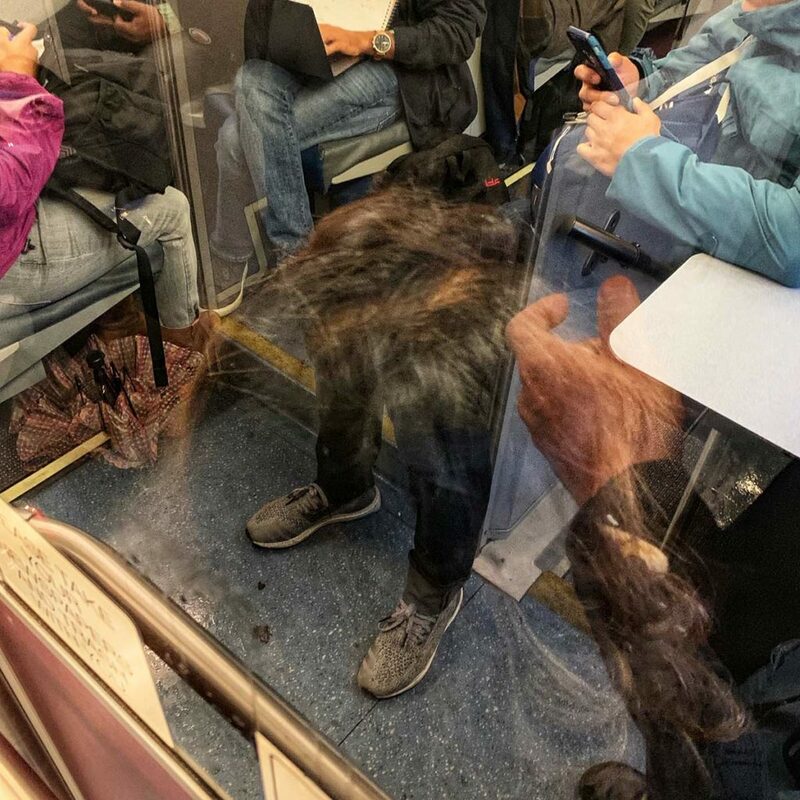 Just a reflection on the BART.